What Spring means to me, so far. I love the seasons, the way nature cycles through each mood every year. More than any other time in recent memory I have felt the undeniable influence of the seasons this year – is this perhaps because I live and work out in nature now? Or maybe it goes deeper than that…to a cellular level, after all we are mostly made up of water so we can’t deny the effect of the earth’s spinning axis. I think it has a fair bit to do with my fragility too – this past year has weakened my defences and wore down my armour, in effect leaving me exposed to the “elements”. Indeed I have titled the most recent winter “the winter that broke me”…in a good way I now realise (breakdown or breakthrough…? more on that later). Ironically I’m writing this post about spring on the last weekend of winter, but once again Mother Nature has proven she doesn’t keep track of the calendar! It’s been a slow but steady descent into spring, or should that be ascent out of winter perhaps? Some years spring seem to arrive unannounced at the front door, demanding not to be ignored. This year though, she has seeped gently into my days as the days have warmed and lengthened, she has whispered into my heart with the delightful tune of the grey thrush each morning. I feel it in every cell of my body. New energy abounds. The promise, the potential about to be unleashed as another cycle begins in the world. While winter was cold, long, harsh and dark it has left me more grateful for the dawn of a new [spring] day. Spring is blossom and bees, the tree buds breaking through, their dormancy almost over. She smells of wattle and jonquils, of early morning baking sessions and freshly clipped grass. Spring is crisp mornings with bluebird days and warmth on my back in the afternoon. It is lying in bed on days off listening to the birds sing their lungs out, heralding a new day. It is hiking through new bush trails on weekends with birdsong for company. Spring is bursts of colour on an otherwise monotone landscape – the vibrant yellows and pinks and purples. It is sweet floral arrangements dotting the house and infusing the rooms with their aroma. The new season means harvesting more fresh greens from the garden and farmers’ market, quick meals with plenty of flavour and crunch are the order of the day. It is the white-cotton tails of rabbits, bobbing everywhere! Watching while the herb patch gets demolished by possums and/or sheep, but admiring the forgotten winter greens tenacity…to go to seed! 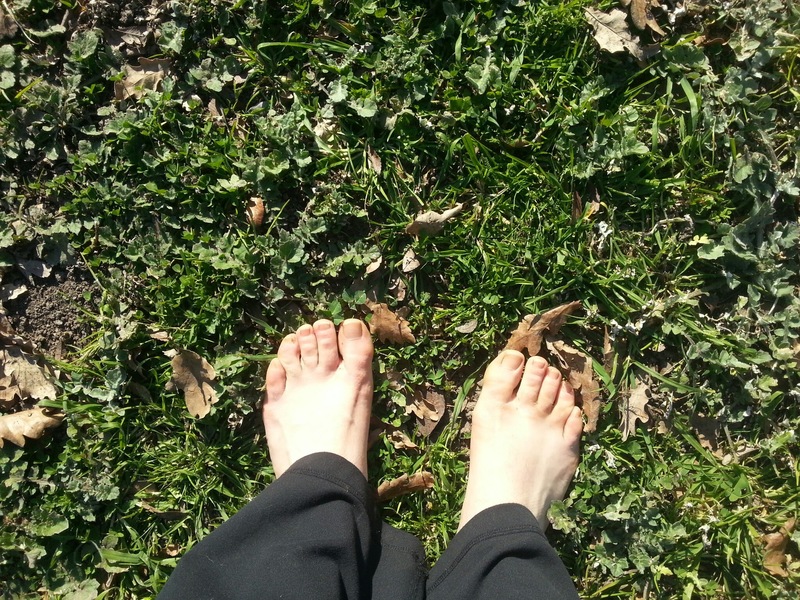 Spring is walking barefoot in the backyard once again, stepping carefully to avoid the stinging nettles…. It means drying the washing in one day (rather than three). It is packing away the extra blanket, and the sleeping bag from my bed. I fully accept that I’ll probably be pulling them back out of the cupboard in a week’s time, but thankfully there’s less pressure on the dwindling woodpile and less mud on the boots. It is opening the doors during the afternoon, letting the sunlight in and de-cluttering my house. It is swapping hot chocolates for smoothies. It is shifting the reading from the couch to the verandah in the sun. Spring brings promise of more – the kids born last month on those frosty nights now bound endlessly out in the paddocks, hungry to explore and seemingly growing up in the blink of an eye. 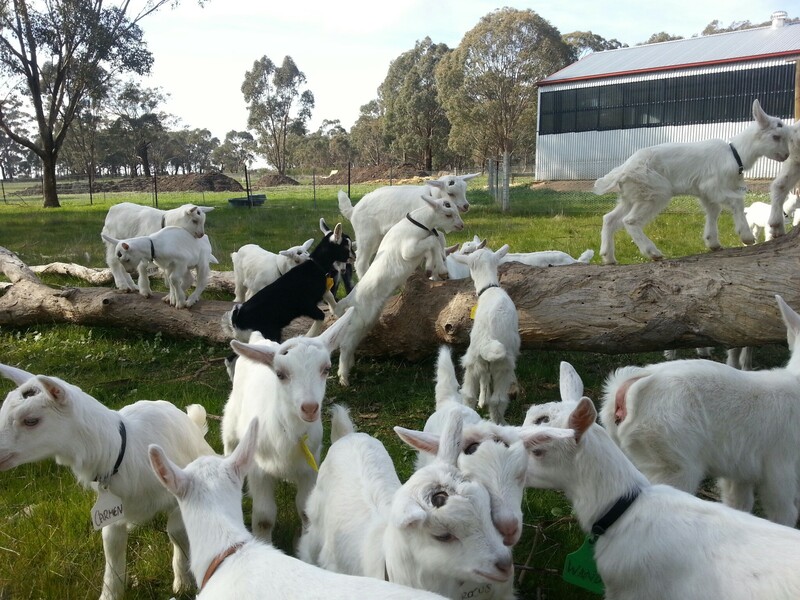 The rest of the goats naturally feel the cycles of nature too, and with the longer days are grazing the paddocks with new vigour which always means more milk (more cheese!). So far spring has been about tying up loose ends, finishing winter projects – my hot water bottle cover, knitting a scarf, a shawl and those numerous books I’ve started. September is also finals season for Aussie football, so I’ll be cheering the Sydney Swans deep into the month. It is also birthday season, so surely there will be catch-ups and celebrations and cake. 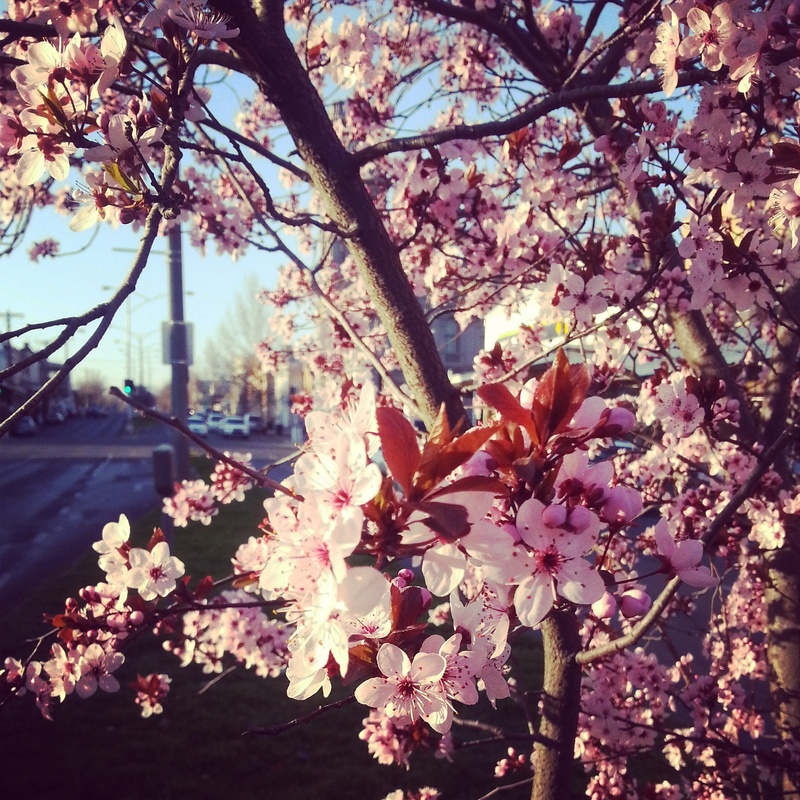 What does spring mean to you? ?